Two Priests Who tell it like it is! If you ask my DH who my most favorite priest in the US is, he would say two names: 1. Father Euteneuer (HLI) and 2. Father Corapi! Fathers Euteneuer and Fr. Corapi, I've never met but would love to! I subscribe to Father Euteneuer's newletter and love how straight forward he is about the whole situation in America (and the world) regarding humanity's disdain for life! Father Corapi is amazing! I've blogged about him in the past and I have almost all of his retreats and/or converences recorded on my DVR at home (I think I might have over 30 hours recorded!). I love both of these priests for many reasons but mainly because they tell it like it is! They are not afraid to speak up and truly preach the Gospel!! They, in my eyes, remind me the most of Christ! I'm certain there are tons of priests out there just like them, these are just the two that are my most favorite! Father Corapi will be at a Conference in Cincinatti coming soon on July 17th. At this conference he will be speaking about something that will touch lots of nerves with people, secular and Church: social teachings of the Catholic Church. Father Euteneuer will emcee this event as well and I WANT TO BE THERE! So why is this conference stirring things up all over the place? Here is an article at the National Catholic Register by Danielle Bean (a great Catholic mother and wife - she's got 8 kiddos and the editor of Faith and Family Magazine!) article on the whole situation. To order tickets go here! 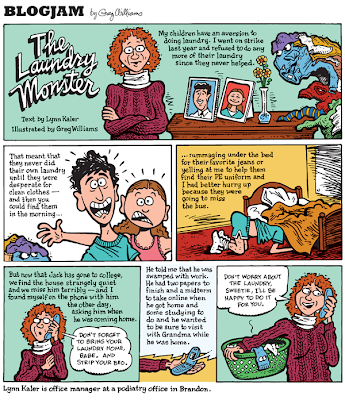 So, as a family of six I felt (a couple of months ago) that I was drowning in laundry! When laundry day came, I wanted to run away as fast as I could! When I found myself doing laundry and about six months pregnant with number five - I freaked! So I did what a good mommy and housewife would do, first, I panicked, second I called for help from the "veterans" AKA mom friends with more kids than I! To the rescue comes my friend Stephanie (mommy of SIX)! She taught me a system that works like a charm. I've been wanting to blog about her system since the first day she told me about it but I thought I'd give it a couple of months to try it out and see how it worked for me - it's simply amazing! 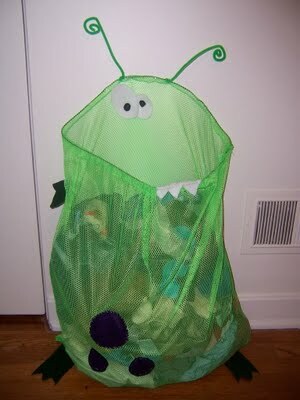 Then another friend of ours (Blogging Mama Liz) reported that she posted something on her blog about it a couple of weeks ago, so here it is: Stephanie's Laundry System (for BIG, and not so big, families)! Thanks, Liz!